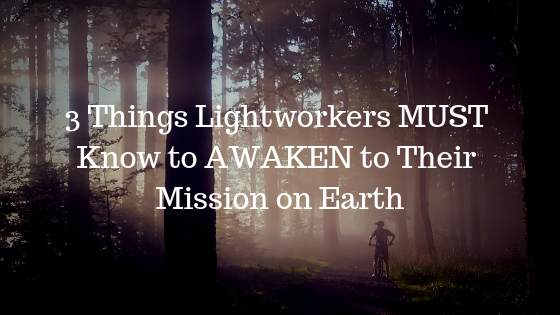 I'm going to be sharing with you three things all lightworkers must know to awaken to their mission on earth. By the end of this blog, you're going to have a much clearer understanding as to what you can do to awaken to your true purpose of why you are here right now. Today, I'm going to be sharing with you that of understanding more about the wakened lightworkers that are here right now on the planet. People that are awakening to who they really are, understanding their purpose on earth and understanding this transcendence of consciousness that it's happening on the planet right now. It has been happening and it is going to continue to happen and most likely if you're reading this blog, I'd say there's about a 99.9% chance that you are a lightworker because you can only perceive of that which you are the vibration of. And if you are to click on a video that says something about lightworkers, then perceiving of that video is the first sign that you first off just are a lightworker. 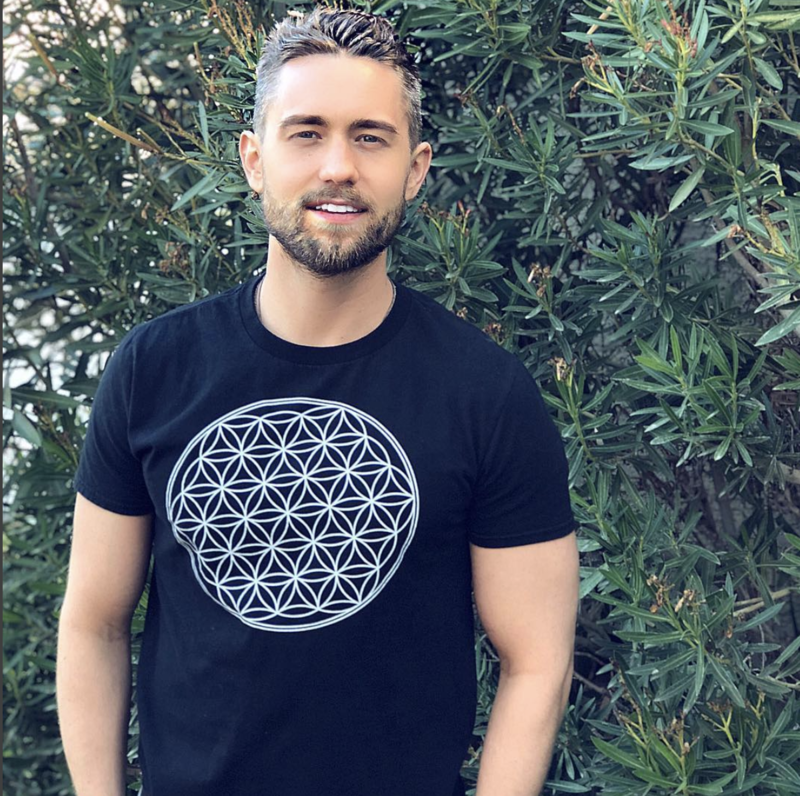 What does it mean to be a lightworker? Well, think of it like this. A lightworker is someone who bears light and light is high vibrational energy. People and one of the main reasons that lightworkers come here right now is to bring with them the light that shines through them because as we incarnate into this reality because the truth is we are immortal. Spiritual beings live in temporary human experiences, but we came to earth because we wanted to help the earth go through this transition and the way that we influence earth with this transition is we can't influence it from the outside. What I mean by this, in higher states of consciousness, we exist. We exist in very high vibrational states of energy beyond that have 3D, physical form and influencing this reality. We have free will in this reality, and this is a part of the process of going through this evolution, going through this transition of consciousness, which means we're going from a certain level of vibration to a higher level of vibration. In order for us to influence it, we can't influence it as much from the outside. The real way that we influence this reality is we must incarnate into the system. For many people, this is challenging because when we come into the earth, we forget who we are. Out of all the places in the universe, this is one of the places. There are other places, but this is one of the places where it's considered to be very difficult because we forget who we really are. We forget that we are connected to source energy, that we exist in higher states of consciousness, that we are multidimensional. We forget all that when we come here, and then part of the purpose of life is to remember who we are, and that's when a lot of people go through what is called a spiritual awakening. They go through a spiritual awakening. Then they're like, okay, I'm more than just physical ego construct. This is like, this is like my avatar in this reality, but I know that so much more than that. Then that's what we call a spiritual awakening. In general, the reason you are here right now is because you wanted to bring forth the light that is within you. For this, it's about understanding that just by you being you, which means you do and what you're passionate about, which means you were really expressing the authentic part of yourself. You are bringing forth this information into this reality and that is going to change and influence everyone that you're around and the more of us that wake up because lightworkers are all waking up right now because as we wake up, we then influence other people. Maybe you feel like you're one of the first to go through this type of awakening or to have this kind of realization. You look around and all your friends aren't going through it or very few of them are, and then you look to your family and they think that you're a little bit weird because you're going through all of this stuff. Well, guess what? That's because you chose to wake up first because by you waking up first you start to trigger other people to wake up and you may look around and say, wouldn't it be so much easier if everyone else woke up with me? Well, it would be easier, but it wouldn't be part of the process. We chose to wake up many times in families and in circle groups of friends that weren't waking up because as we spread ourselves thinner, we are then able to influence people. Imagine we all were in the same family and we all just got it. We wouldn't have to share it with anyone else because we would feel like we just got each other. That's all that we need, but instead there's this process of it, so for this, if this relates with you, if this is something that resonates with you, just know first off, you're not alone, you're not alone. There are many other people going through this and the other thing is you're not crazy. This is a part of the process. This unlocking of DNA, this remembrance of who we are, this activation that we're all going through right now is because we are going to be the leaders of this transformation. If you're reading this blog right now, then you are a leader. Even if it's you leading by example, you are meant to be a leader, so being a lightworker is about understanding that right now is the time on the planet of transformation. We are moving from what is called a 3D level of consciousness into a 4D and 5D level of consciousness. 3D level of consciousness is duality. It has been focused on good, bad light, dark up, down, all these opposites. Being in that of the 3D is also many times attached to lower vibrational things. That is the 3D reality. We are moving into a 4 and 5D reality where we understand that we create reality and why would we keep all mass focused on war math, focus on the media mass, focus on these things. When we know that if we change our focus, we change our reality. We're becoming aware of the correlation between what we think and what we experienced were becoming aware that reality is becoming more dreamlike. What I mean by this is our reality is becoming more flexible, more synchronicity, more magical, and we're going through that right now and as we get to a 5D level of consciousness, that's where we start to feel in our hearts. We start to create from our hearts. We understand that we're all connected. This is going to get better and better as time goes on, but the other side of that is there will be more and more things breaking up from the 3D reality that appear to be bad, but if you choose to stay in your own state of being, you will raise your vibration. What everyone else in the 3D is freaking out because things are falling apart and they look to you and what you're doing is you're remaining in your energy and you're saying this is a part of the process. They're going to look to you as a guiding light because they're going to see how confident you are. They're going to want to be around you and you are going to help ground them into this new higher vibration because we chose to go through this transformation as a collective. The first thing that all likers what workers must know in order to awaken their mission is that the way you awaken your mission is to set the intention to understand that if you're even reading this blog, then you've already started the process. It's much easier than you think. And then to simply follow your passion, so cliché, I know we wanted something really cool about star seeds or something like that. Find your passion is the first one because the passion is your highest vibrational state and when you are in a high vibrational state, that is how you going to bring through this energy, this light into this reality. By making these videos right now, I'm in my highest vibrational state that I could be in. I felt really good. I'm in a flow state and this is what I meant to be doing, is spreading this information into the world. I'm following my passion. If you don't know your passion, it's okay. Set the intention to find your passion. Set the intention to find your passion and see what starts to come up. Maybe you start to overhear people talking about certain things, certain books pop out at you. Set the intention and then start to look for it. A lot of times our passion and our purpose will also be linked to adding value to others in some type of way. It doesn't mean you need to become a nurse. You could. It doesn't mean you need to make YouTube videos, you could, but it means that if you start to look for ways you can add value to people. You may find that you pull the mission gets pulled out of you, so that is the first thing that all life workers must know to awaken to their purpose is to follow your passion and think about it in terms of vibration. Even do this on a small scale. For example, you are asking yourself, what can I do at this moment that I can be passionate about? It could be you going somewhere and talking to a friend. It could be you deciding to go for a walk. It could be many different things. A lot of times we think our passion has to be linked to some overarching huge thing. The small little passions will lead to the big ones just like a small little wind will lead to. A big win is small little thing and an act of passion for you will lead to something bigger and bigger. Doesn't have to be like, what is the overarching purpose of my whole entire life? It could be what do I feel like doing right now that I'm passionate about, be in that state. Think of passion more like a vibration because in that vibration you will then find more things that resonate with it, so that is the first one to find your passion and to embody that passion frequency because then you bring more light into this reality. You will then be your true lightworker herself. The second thing that all lightworkers must know in order to awaken to their mission is something you may not want to hear. It is something that backs in 2012 I struggled with for a while. That is becoming completely at peace with the 3D reality, completely at peace with it. You know, when I went through my spiritual awakening in 2012, I went through this awakening very quickly and I felt like a black sheep. I felt like everyone else didn't get me. I was talking about meditation. I was talking about being multidimensional. I was. I look back at it and I'm like, well, that was definitely way too much for telling family and friends, but I wanted to escape this reality and I want to do a Senate to what? A higher vibrational state of consciousness. I didn't want to be here looking around at how much work had to be done. I was thinking, so much has to be done. I want to just be done with it. I have awakened. It's time for me to ascend into some higher dimensional state of consciousness and sometimes there's this, this once of lightworkers to escape this reality. They want to go home. Have you ever felt that you wanted to go home? Not Earth home, but you know someone. Someone responded on my live Q and A yesterday on Instagram and said that her son, when she's at home with his three-year-old son, her son will tell her, mommy, I want to go home. Would intuitively resonate with me. The newer generations coming in came to make change is the world's going to change very quickly because as the younger generation becomes dominant, which they already are, but it comes more and more dominant and they start to realize our true power. We will take our power back and we will understand that us collectively focused on certain timelines, shifts us to these timelines. That's how powerful we all are. The thing is when I went through my awakening, I said, screw the 3D reality. Didn't want to be a part of it. I wanted to leave. I left my job working at Nordstrom's and I said, screw this. I don't want to be here anymore. I quit that job. I went from this to all the way on the left side of it where I started. I changed up my lifestyle. I changed up where I was working. I just said I don't want to work anymore. I went through all of these things and so it's through the government financial system. All this stuff because I realized a lot of it is controlled and I was very resistant towards it because I didn't want to participate in it because I didn't agree with it, but after about five or six months of that, I went within. I really went through a lot of transformation. I realized, Hey, I then felt guided. Actually. I was also told you're meant to actually integrate back into the 3D reality and to go through and to then find your purpose and do all of this stuff and I didn't want to hear it. I remember I listened. I went to this lady that does an older lady that did something called kinesiology where she did muscle testing. She was really good too. She was like 70 years old. It was a phone thing. I called her and did a reading with her and I asked her some questions and then one of the questions was like, Spirit wants me to get a job because I already quit my job. I had money saved up. I was like, whatever. And she said yes. And I said, no, that must be wrong. Everything else you said was very accurate, but now that must be wrong. My Ego didn't want to hear it. No, I need to get a job. I just got rid of my job, what, what kind of job would I get? But I intuitively knew I had to reintegrate into the 3D reality and I had to go through this level of transformation and I had to go through and become at peace with it too. Back in 2012, 2013. I said, okay. He goes 2013. I said, okay. I eventually came at peace with it, said, okay, I'm going to get a job. I have. I literally applied. The first place I applied to is Barneys New York, which is a higher end. It was actually a better place and I worked before I got the job. The next day I got the call from, Anna, the HR lady. I go in, I have a job interview the next day, know that that day I got a phone call. The day after I applied, I got hired there. I worked there for five years. I became at peace with the 3D reality. I was dealing with many different types of people as a sales commission job. It was very social. I went through my own inner transformation, my own inner healings. Then I started to find my purpose, set intention for it. I knew I wanted to be in front of people. I decided I was going to be on YouTube. I went weekly on YouTube. Then eventually I just started treating YouTube like my full time. Within six months in 2017, got rid of my job and now ever since then, this is what I do. I'm in my purpose. I'm doing what I love but become at peace with the 3D reality. The more negative energy we send that, the 3D reality, the more we reaffirm it and it's not about escaping, it is about being here and it is about going through this transformation together. The second thing you must know as you must become at peace with the 3D reality and know that you are here for a mission, you are here for a purpose, you. It's to bring through your life. It is here. We have the stuff to do, we have things to do, and we are here right now to make a change. The third thing that you must know in order to awaken to your mission has to do with now knowing it is a time of being bold. Be Bold. I have been afraid to share some of this information with starseeds, lightworkers DNA activation. All of these different esoteric ideas I've been afraid to speak about for like six to eight months, even though I knew I was passionate about it. However, recently I'm realizing do I want to reaffirm the 3D reality of being afraid of what people think or do I want to stand boldly and what I believe and who I am so that I can influence other people to also stand boldly and who they are to give permission to people to do it. That in this is the time of being bold, of moving forward, knowing that you came here to be bold. You came here to make a change. You didn't come here to sit in the passenger seat and to just passively allow things to happen. You came here to make a change in this world and to bring forth your light. How do you be bold? You start to express yourself doesn't mean you have to go out and be very resistant like this is what's happening. There's an awakening happening. Doesn't mean any of that. It means you're bold with your purpose and your bold with your mission, and if people don't get you, it's okay because everyone's on their own journey and many of the people that don't get you now, they will eventually come around. I can't tell you how many of my friends back in 2013, I thought I was crazy and now think what I do is cool. They're asking me questions. How do you meditate? How do you do this? What about this I have? I have some people that I never would have ever thought would be into this type of information that are asking to be about the moon energies. They're asking me about the different emotional stuff that's coming up with the clearing of the time of the planet because there's light body activation happening. You being yourself gives permission to other people, for them to be themselves, so by me sharing these ideas that are a little bit more esoteric, guess what? Giving and helping you understand that you can be you. You can be the way that you prefer to be. You can share ideas that are maybe a little bit more esoteric and you don't need validation from other people. You just must validate yourself and that translates to other people as well. You probably tell by me talking about this right now. I'm not seeking other people's validation. This is what I believe. This is what's true for me. This is what I like to share. If people don't like that and it's cool, but I'm not attached to it in the same way, you don't need to be attached to what people think about you, but be bold with who you are. Be Bold with your mission, bring forth your light and understand that there is a purpose for it. You came here to awaken first, so embrace it and know that you are more than you can imagine and that the more you embody this, the more other people feel that energy off of you. For this process, another thing that I recommend is that you transcend your level of consciousness and by doing so, by doing this and connecting to your higher self, you begin to transform into this purposeful version of you. One of the most powerful meditations I've created is on connecting to your higher self and becoming your higher self. If you listed for 21 days, I think it will transform your life.